The Executive Director Institute is a 5-session learning opportunity exclusively for nonprofit executive directors in Des Moines, developed by Nonprofit Connect. Course content weaves together theory, experience and context to help leaders evolve, keep up with best practices and learn new ways to creatively deal with the full range of organizational issues. The program fee for Executive Director Institute Des Moines is $985. Executive Directors interested in participating in Executive Director Institute can fill out an application. The deadline to apply is August 18. Questions? Contact Luann Feehan at 816-888-5601 or lfeehan@npconnect.org. A 5-session course. Attendees meet every other week to expand their management and leadership skill base. Each workshop is all-day (8 a.m. to 4 p.m.) and will be facilitated by Luann Feehan, Executive Director of Nonprofit Connect. In addition, local executive directors from the Des Moines area will provide hands-on, real life experiences. Participants can expect to acquire knowledge from sector experts, gain best practice information from knowledgeable leaders and have an opportunity for open dialogue to address areas of specific needs. 2017 Dates: September 25, October 9, October 23, November 6, November 20. All dates are on Monday. The applicant must currently serve as a paid executive director, president or CEO of a nonprofit organization in the Des Moines area. The applicant's organization must have tax exempt status at the time of application with an annual operating budget of over $100,000. The applicant must commit to attend all of the five sessions in full. The applicant must pay the tuition in full or provide a $250 deposit prior to the first session. The full amount must be paid by the beginning of the third session. The tuition is non-refundable. The applicant must provide a commitment form to ensure participation throughout the series. "I asked the question so many first-time Executive Directors ask- so, now what do I do? You might have been dreaming for that moment that you would have the opportunity to put your stamp on a great organization. However once you are in the role, there are so many things to focus on. EDI helped me slow everything down and give thoughtful consideration to major opportunities ahead of my organization. It was good to have a support network to know I wasn't the only one working to balance all the roles of an ED. With help from EDI, I arranged a committee and professional assistance to drive our first-ever strategic plan. Within 18 months we had secured out largest-ever one-time gift and our largest-every multi-year pledge to support that work." 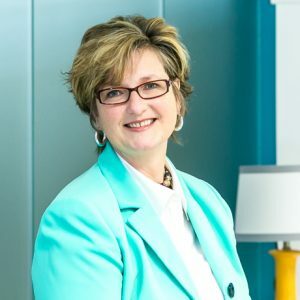 Luann Feehan is the Executive Director of Nonprofit Connect, the regional association for nonprofit organizations and community-minded businesses. She is a Certified BoardSource Governance Trainer and DiSC Behavioral Assessment Trainer. She brings expertise in networking facilitation, and over twenty years of experience leading successful nonprofit teams. Luann is a sought-after expert on nonprofit trends and best-practices, and a leading voice in Kansas City’s nonprofit community. She has been invited to similar markets across the country to share her knowledge on nonprofit and association programs. An accomplished and awarded veteran of the association industry, Luann Feehan’s success comes from her visionary mindset and motto: You get what you want by helping others get what they want. We provide professional development programs, an online eLearning Center, nonprofit management resources and a regional nonprofit job board.